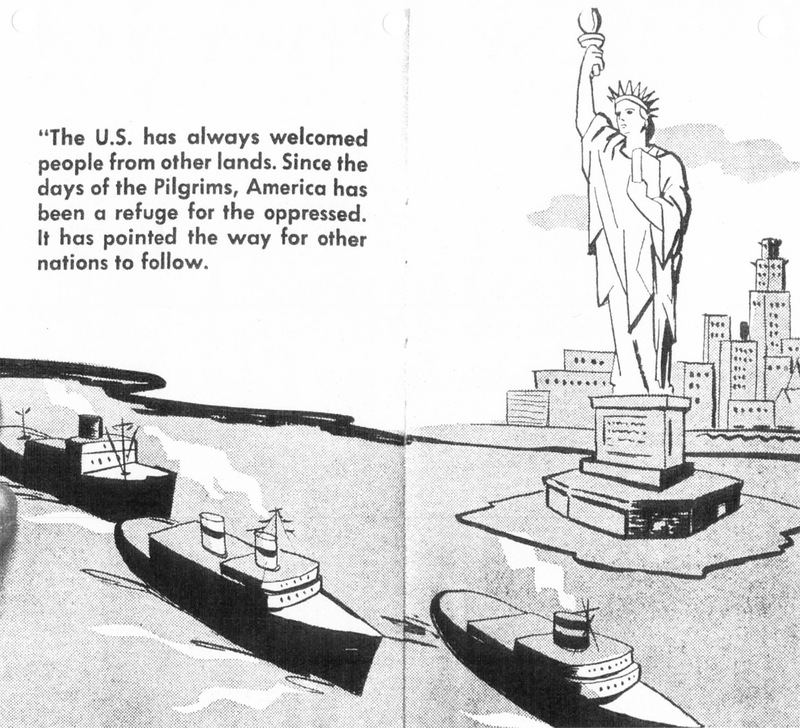 America was a central character in the Holocaust stories told in the early postwar period. This is especially true for materials produced by American Jewish organizations that sought to motivate American Jewish and non-Jewish audiences to give money, volunteer, and advocate on behalf of Displaced Persons in Europe. 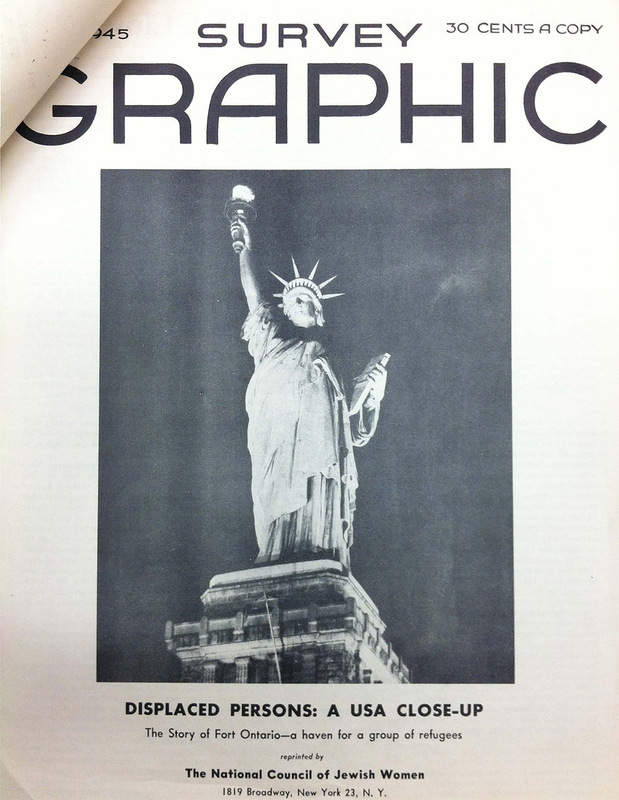 America served as a symbol for hope, a site of possibility, and the source of liberation in these narratives. The Empire State Building and the Statue of Liberty were both commonly evoked images and American myths of freedom and prosperity were weaved through these narratives. A prime example is the radio broadcast, "A Parable for Easter." The drama was sponsored by the Citizen's Committee on Displaced Persons and aired for Easter in 1948. The show employed the Easter story of death and rebirth to tell the story of DP #234, who died in a DP camp in Germany and fought to enter the US zone of heaven. Since DP 234 had no nationality, he posed a problem for the Heavenly Messenger, a story which mirrored the experience of stateless DPs who had nowhere to go on earth and waited for years for quota numbers and visas to become available. Version 18 id 27943 of this page, updated 21 November 2014 by Rachel Deblinger. Created by Rachel Deblinger.